At every step through the city, the visitors are confronted with the history of the area. The historical town spreads to the entire northern side of Acronafplia, starting from the passage formed between Acronafplia and the steep slope of the mountain of Palamidi. The neo-classical houses, the old houses with their small tree-filled courtyards, the elegant little balconies and the quaint cobblestone narrow streets give this city its unique and wonderful character. 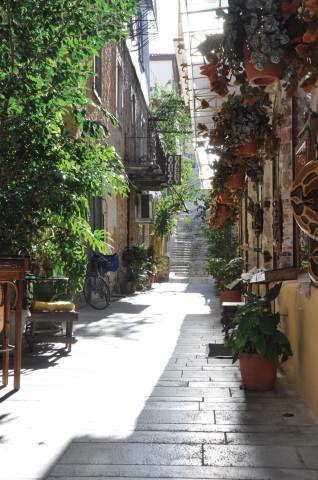 Strolling through the old town, no one can escape from the unspoiled charm that radiates from the center. 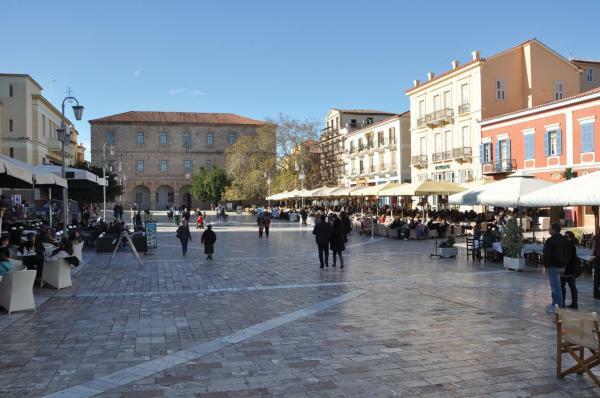 It is the most romantic area of Nafplio, with its many shops and cobbled streets, narrow Venetian balconies bedecked in colorful bougainvillea, stone houses with the stairs full of flowering pots, stone fountains and fragrant gardens.